protect your home and loved ones." 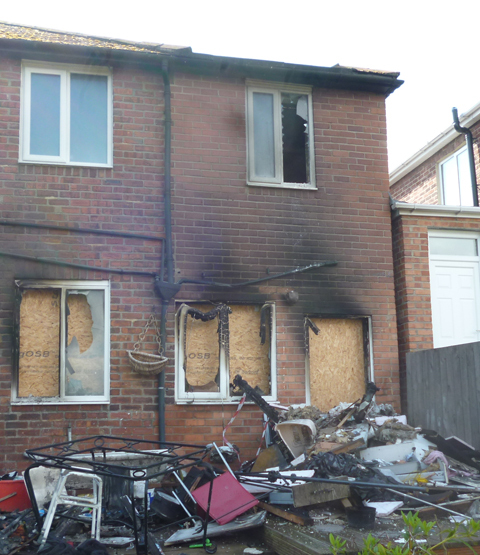 "Most house fires are caused by fault smoke alarms or incorrectly fitted alarm systems"
Fire causes serious damages to homes and families across the UK each year. Most of these scenarios occur because of fault smoke detectors or alarms that have not been installed by a competent and improved installer. Working across the whole of the Nottingham area, we at Mercury Security have a wealth of knowledge and experience in the installation of fire alarms for domestic properties. "Here at Mercury Security we provide a complete fire protection service for clients across the Nottingham area. For more information about the fire protection services that we offer, please see below or speak with our team today." We install tailored and bespoke alarm systems that are guaranteed to protect your home from the threat of fire. We work with trained professionals who keep a watchful eye over your alarm system. If you would like to know more speak with us today. Has a problem occurred with your fire alarm? With their knowledge and understanding our team are here to help you. We are approved to the highest standards, accredited by BAFE and a member of the Fire Industry Association. "Speak with our team about fire alarms today."